It has an interesting concept but sorely lacks in story development and characters arcs. 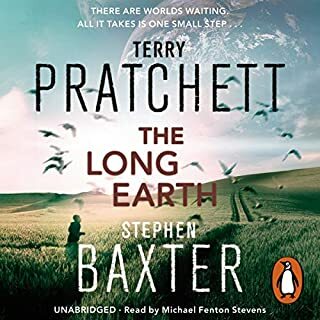 As a Sci-fi fan and a Pratchett lover I was looking forward to listening to this on my commute but I certainly did not find much of Terry Pratchett's humor in the narrative. the story basically seems to be a long tail of what-ifs on the possibilities of evolution and probability but little is done to carry most of thes eexotic descriptions to life. the sudden ending left me looking for the refund option rather than the link to the next in the series.